The state of Kentucky is going to contribute tax dollars to the brainchild of Ken Ham and his Young Earth Creationist cronies who publish Answers in Genesis. They are going to build an 800-acre Noah's Ark theme park in Grant County, Kentucky. It will feature a “full scale replica” of Noah’s Ark. 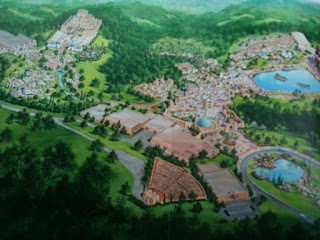 The theme park is expected to open in 2014. Ground breaking will be in August 2011. Some Kentuckians aren't happy about state funding of this venture though it will produce jobs in an economically depressed area. The Ark Encounter, a private Limited Liability Corporation, will be partnering with Answers in Genesis (AiG), a 501(c)(3) organization, the group behind the highly successful Creation Museum. In three years, more than 1.2 million guests have visited the $35-million museum, which was funded by donations from tens of thousands of supporters. The Ark Encounter will include a full-scale Ark, built according to the biblical dimensions and constructed with materials and methods as close as possible to those of Noah’s time. More than just the Ark, the project will include a large complex of associated attractions, theaters, amenities, event venues, and ample parking to properly accommodate the expected crowds. •The Walled City: Along with plenty of shopping and food, guests experience Bible events through various themed venues situated on 40 acres. •The Ark: A full-size wooden Ark. •Noah’s Animals: Live shows with animals from around the world, and a large petting zoo. •Children’s Play Area: A highly themed, interactive environment where kids can explore and play. •The Tower of Babel: A 100-foot-tall themed building with exhibits and a 500-seat 5-D special effects theater. •Journey Through History: This themed attraction takes visitors on a trip through events of the Bible, experiencing spectacular special effects. •The First-Century Village: This attractive area presents a town as it might have appeared in the Middle East. •Aviary: three bird sanctuaries presented in a natural setting, plus a nearby butterfly exhibit. •Special Events Area: A venue for large gatherings; this area will also showcase some of the Leader in Energy and Environmental Design (LEED) building techniques used to build the Ark complex. From here. For information on tax incentives, go here. I wonder if they will reconstruct the Lake Chad region as it would have been about 5000 years ago? Nope. They'll present the Ark as landing on a mountain in Armenia instead of Har-Meni and they will ignore that fact that the word ararat is old Arabic and means Mount of Vengeance. Genesis tells us that Abraham's ancestors came out of Africa. Noah was a ruler in the region of Lake Chad. Alice, don't you think that if these developers tried to create a religious theme park instead of a mythological theme park they would be challenged in court by national organizations with money? Then the state of Kentucky would have to spend money defending their decision. When you first mentioned the fundamentalist "Young Earthers" and their belief that God made fossils to look old, I had to chuckle. Don't they know this is called "taqia" in Islam? Taqia means it is OK to lie and misrepresent as long as it benefits your belief system. I am almost positive that taqia is not a Kingdom Principle. The governor of KY wants jobs in Grant County. As far as he is concerned, this IS a religious theme park. You can image the outrage this would stir if someone tried to build a religious theme park with state money in Washington or Oregon. Susan,why would you think they are lying rather than the fact that they may actually believe this and are trying to hold fast to their beliefs in a world hostile to religion. I do not believe as they do, but many people the world over cling to old beliefs. 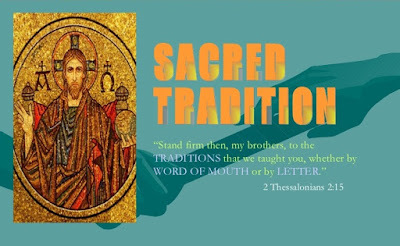 With the scandals in the Roman Catholic and Anglican churches and the actual fights that break out between the RC and Eastern Orthodox priests at the Church of the Holy Sepulcher in Jerusalem at Pascha,I am astounded. It is no wonder the whole world laughs at the religious. Lord have mercy! Alice, I agree that it will be more wholesome than casinos. Hopefully, the children, as they grow older will be better educated. Lydia, Young Earthers believe that God made fossils to LOOk old. In other words, He is trying to fool us. Alice, You're right. The people here would throw a fit. However, since native Americans are sovereign nations, they can do anything they want. They could build a religious themepark or a casino and nobody can object.